10 ft x 6 in Armstrong Axiom Classic Straight Trim - AX6STR at Cowtown Materials, Inc.
Axiom Classic is an extruded aluminum perimeter trim solution for use as an exposed custom decorative trim with suspended lay-in panels or as drywall trim for unique detailing and transition flexibility; available for straight and curved applications. Extruded aluminum trim provides crisp edge detailing and excellent corrosion resistance compared to steel systems. 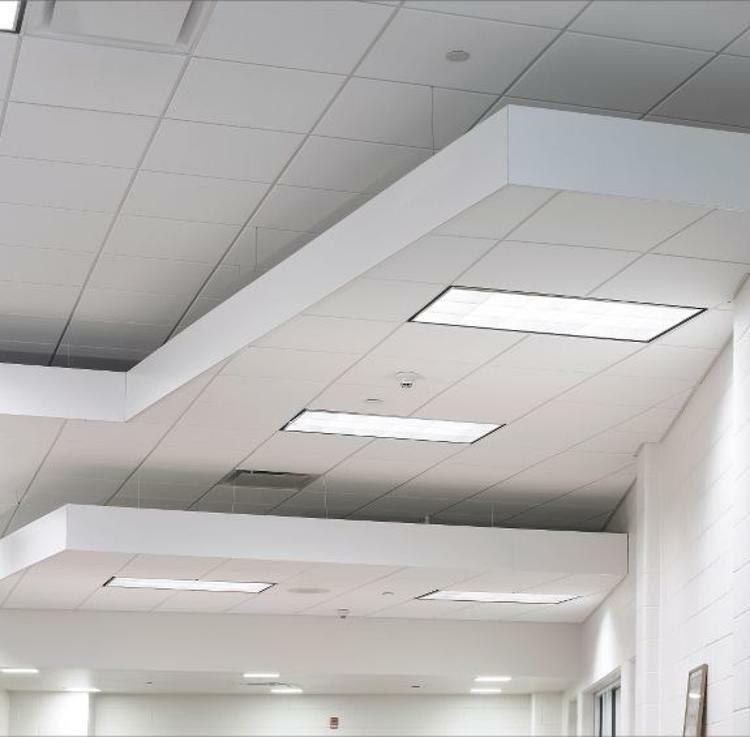 Compatible with Armstrong exposed tee suspension systems and Drywall Grid Systems. Dimensions: 120" x 3/4" x 6"